Is the ‘kampung spirit’ dead in your neighbourhood? Unlike other ghosts, many Singaporeans would prefer to still have it around. But although the ‘kampung spirit’ was alive in HDB estates before, it’s growing fainter by the minute. But first, what’s a kampung spirit? To make things easier, let’s break it down into two words: ‘kampung’ and ‘spirit’. 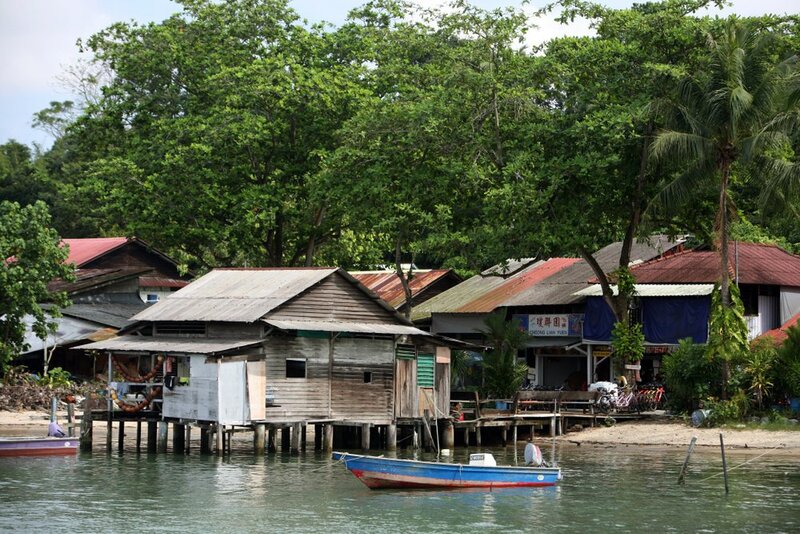 A ‘kampung’ is the Malaysian term for a traditional village. It’s a clustered community that’s smaller than a town, with a population of a few hundred. Today, this is equivalent to a Housing Development Board (HDB) estate, where 82 per cent of Singaporeans reside. Singapore’s kampung spirit in the past was a sense of camaraderie and understanding. On the other hand, a ‘spirit’ is a particular way of thinking and behaving that’s typical of a particular group of people. This makes the kampung spirit as the particular way of living that’s typical of HDB residents, which is generally undesstood to be: A sense of camarederie and understanding despite differences from household to household. Also known as the Internet, the world wide web has rendered most Singaporeans immobile and indoors. Out of Singapore’s 5.61 million population, 4.83 million were online last year. And more than half of that are active social media users, with the user demographic as: 90 per cent of baby boomers (54- to -72 year-olds), 98 per cent of Generation X (38- to -53 year-olds), and 97 per cent of millennials (22- to -37 year-olds). The Internet is keeping people in-doors and away from their neighbours. But these Singaporeans are not online for ‘a while only’. On average, they spend more than 12 hours on their devices, which is enough to cause a shift in the HDB kampung lifestyle. Because the higher the Internet usage of Singaporeans, the fewer their personal interactions with their neighbours. Netflix, Instagram, and WhatsApp tie Singaporeans to their beds. This means they’re rarely outside. Or, when they are, their phones act as a barrier for interaction. Save for a small smile or quiet ‘hullo’, neigbours barely acknowledge each other. In the past, people could communicate more because they weren’t trying to win at Mobile Legends. They were genuinely more inquisitive and open, because catching up with someone meant physically going to their houses, not through DMs or texts. 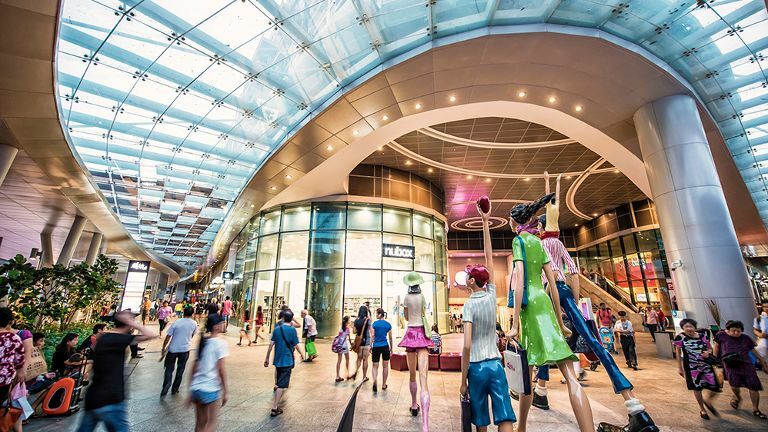 The rising number of retail and entertainment hubs is another nail to the coffin of HDB’s kampung spirit. Why? Well, a part of the kampung spirit is also ‘gotong royong’, which translates to a communal helping of each other. This looks like supporting locally-owned heartland shops. But as more suburban malls rise, urbanisation follows. I mean, MRT stations and bus interchanges are now all partnered with its own mall. Take Jurong East, for example; surrounded by Jem, Westgate, and J-Cube on all sides. But Singaporeans don’t flock to such malls solely for its vast array of dining and retail options. It’s the social cred that comes with it, too. For example, being seen in Ngee Ann City will elevate your social status quicker than mama shops can (if it helps your social status at all). Friendships are no longer bound by the geographical confines of HDB estates. People weren’t so concerned about that in the past, though. So, it didn’t really matter. The playing field has since changed, with streel level shops competing with multi-purpose malls; it brings services like spas and salons, as well as entertainment options such as cinema theatres and karaoke rooms. 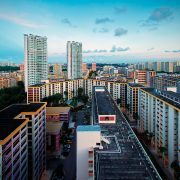 As Singaporeans move away from their HDB neighbourhoods, the kampung spirit of HDB neighbourhoods move away with them. This doesn’t mean that the kampung spirit is completely gone; Singaporeans still create new friend groups every day. And they do spend a lot of time with one another. It’s just that those friendships are no longer bound by the geographical confines of HDB estates. 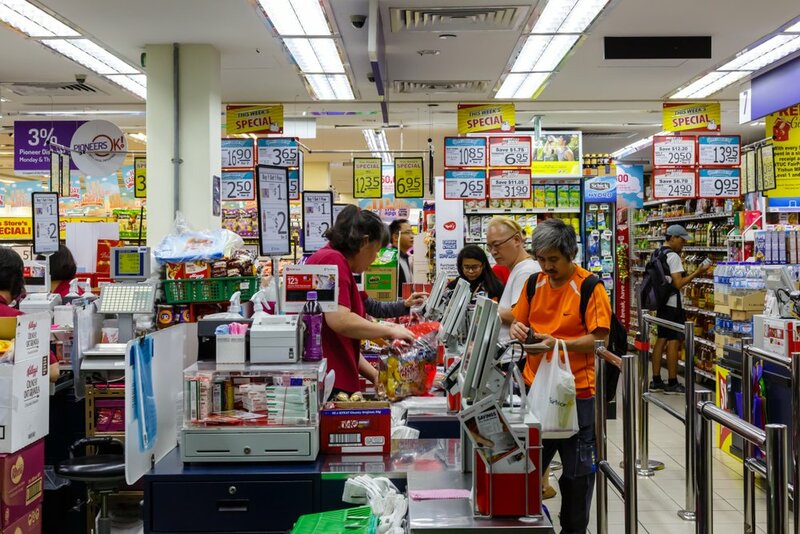 Speaking of heartland shops, its decreasing popularity with HDB residents is also due to the development of chain supermarkets. That’s your Cold Storage, NTUC Fair Price, or Sheng Siong. Whichever air-conditioned mart you go to, it’s killing the kampung spirit of HDB estates. Firstly, your financial support goes to a chain store owned by larger (already wealthy) firms. In this way, the mama shops in your neighbourhoods suffer. Secondly, it’s killing the personal relationships that could’ve been forged between neighbours. You’re less likely to say hi to a familiar face in Jem. But in line at your HDB’s mini store, there’s less space to hide and you’re forced to engage each other in (at least) a simple conversation. Whichever air-conditioned mart you go to, it’s killing the kampung spirit of HDB estates. The kampung spirit is all about being neighbourly, and that entails getting to know your fellow HDB residents. In the 1980s and before, shopkeepers knew everybody in the neighbourhood. They were all so close that, sometimes, you can get your vegetables without paying right at that moment. 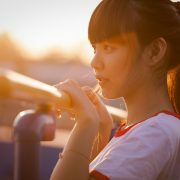 Even today, they’ll start to remember you if you go there frequently enough. You get a warm feeling when they smile at you out of recognition, asking you: “These chips again, ah? What movie you watching tonight?” with a cheeky laugh. Meanwhile, the cashier at Cold Storage will just bag your stuff and move on. Simply put, the personal relationships bred in HDB marts will be hard to replace. Is there anything more Singaporean than going to lepak in void decks? Back in the day, you could see barefoot kids playing soccer in the afternoon. Sometimes, it would be badminton. Or chess. At the other side, ah mas and ah gongs would be playing ping pong; those are just memories we play back in our heads, today. Three years ago, metal barriers and spikes were installed on walls, ceilings, and floors. This was to discourage ball games, as well as prevent people (mostly, the homeless) from sleeping in HDB void decks. Is there anything more Singaporean than going to lepak in void decks? Additionally, ping pong tables have slowly been disappearing. Some have chalked it out down to a lost sport, but we reckon it’s something else. The people who frequently played ping pong in void decks are much older, and the younger generation are mainly disinterested. They’re glued to either TV screens, phone screens, or laptop screens; oscillating between real life and online (see point 1). It could also be due to smaller void decks, as newer estates focus on optimising land use. 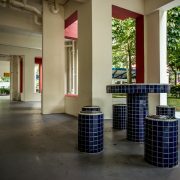 The large space void decks occupy has been landscaped roof gardens, pergolas and precinct pavilions. These are still common spaces, however, and can be a new place for residents to gather or interact with each other. At the same time, it makes space for child care centres and elderly centres. Grassroots organisations (GROs) are the force that could really revive the kampung spirit. But how successful have they been at reaching HDB communities? Grassroots leaders (GRLs) are the white-polo-wearing individuals who help with house visits, especially the old and needy. They’re supposed to “strengthen neighbourly ties” by organising communnity activities. But they’ve been under fire ever since last year for not doing more. Deputy Prime Minister Tharman Shanmugaratnam said they have to “do more ground work to keep society cohesive, and keep alive the heritage they inherit.” This can be achieved through activities that all races and ages can participate in. Most of the communal activities organised by GROs are targeted towards the older generation. 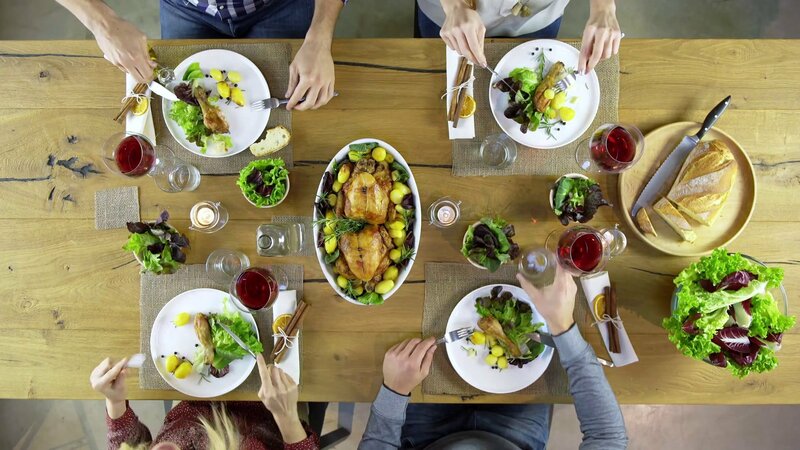 Family runs or potluck lunches are great for that, which are still being done during most of the public holidays. You’ll probably see families with younger children, as well as a stray teen or two. Not many youths will go to such gatherings because (1) they can’t relate to the topics of conversation, (2) only a few teenagers their age will be around, and (3) they’d rather be on their phones, anyway. That last point may be a deterrent for GRLs to even organise youth-centric events. But if they don’t persist with such efforts, the youths in HDB communities will remain shunned … and the kampung spirit more dead than it ever was. 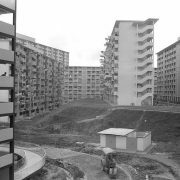 Is the kampung spirit dead in your own HDB neighbourhood? Voice your thoughts in our comments section or on our Facebook community page.